« Where does NVRAM Fit? 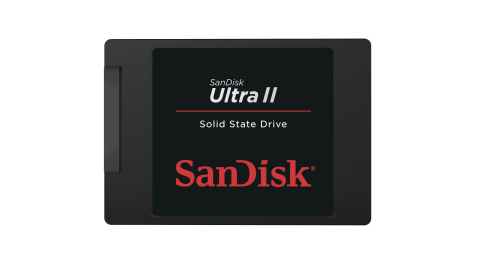 SanDisk does tout the fact that this SSD uses nCache, a technology that converts some of the flash to SLC to accelerate performance as needed. The company also promotes its dashboard software to monitor wear and ease management of security and firmware upgrades, and the drive’s bundled third party software for cloning, antivirus, and security. Something interesting is that SanDisk revealed that it’s using 3-bit NAND in an SSD. Up till now 3-bit NAND has been a secret weapon in SanDisk’s arsenal. Ten or more years ago the company provided high-performance MLC cards to compete (on speed and endurance) with other companies’ SLC cards, and more recently it has used 3-bit cards to compete against others’ MLC. All this without revealing that they were doing it. There was a stigma against MLC and 3-bit when SanDisk phased them in because speed and endurance were inferior to the products they were replacing. By shipping MLC into SLC slots, and 3-bit into MLC slots, SanDisk was able to get a higher profit margin than its competition. Samsung took a different approach: Promote 3-bit as if it were a feature, and claim technical leadership by introducing the world’s first 3-bit SSD. The public fell for it! Now SanDisk is following along. Sometimes it’s hard to understand the consumer’s mentality!